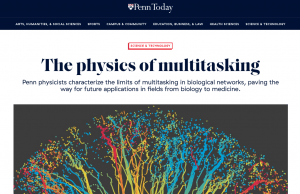 Multitasking in biological networks: is there a limit? Modern leaves, the energy factories of plants, are the products of a 400-million-year evolutionary race towards improved efficiency and robustness. As such they have evolved two sophisticated transport systems, the xylem and the phloem, which irrigate the surface of the leaf blade, distribute water and nutrients, and collect the products of photosynthesis. In this review, we discuss the development and function of these two networks. 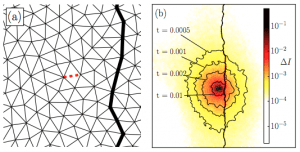 Additionally, with a focus on the global topological and architectural features, we present an overview of the evolution of reticulation through the lens of transport network optimization theory and analyze some aspects of the physics of flow. 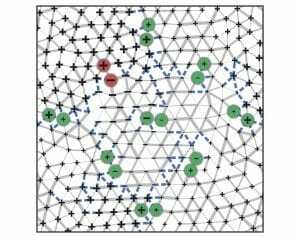 The structure of flow networks determines their function under normal conditions as well as their response to perturbative damage. Brain vasculature often experiences transient or permanent occlusions in the finest vessels, but it is not clear how these micro-clots affect the large scale blood flow or to what extent they decrease functionality. 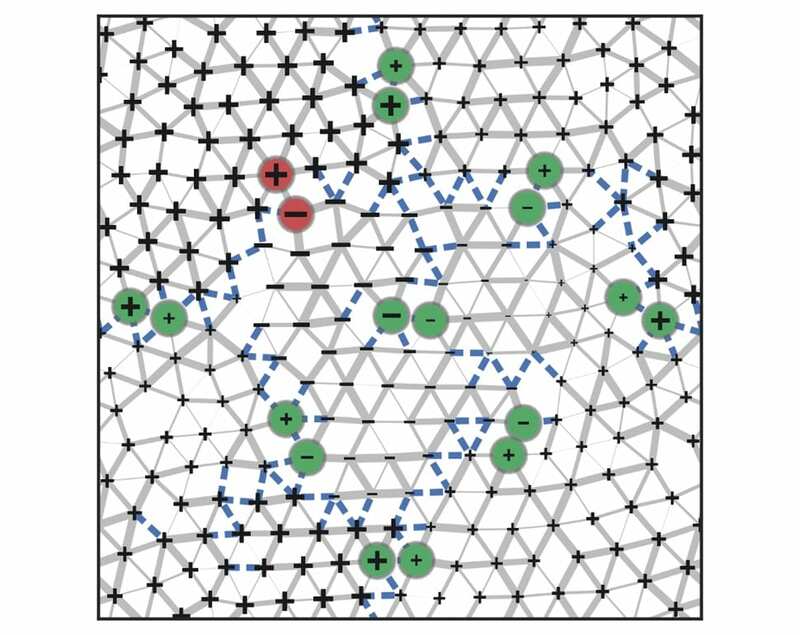 Motivated by this, we investigate how flow is rerouted after the occlusion of a single edge in networks with a hierarchy in edge conductivities. We find that in 2D networks, vessels formed by highly conductive edges serve as barriers to contain the displacement of flow due to a localized perturbation. In this way, the vein provides shielding from damage to surrounding edges. We show that once the conductivity of the vein surpasses an initial minimal value, further increasing the conductivity can no longer extend the shielding provided by the vein. Rather, the length scale of the shielding is set by the network topology. 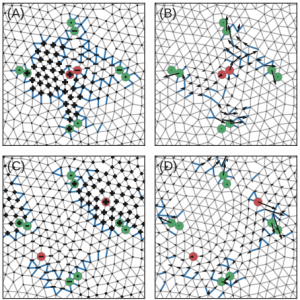 Upon understanding the effects of a single vein, we investigate the global resilience of networks with complex hierarchical order. 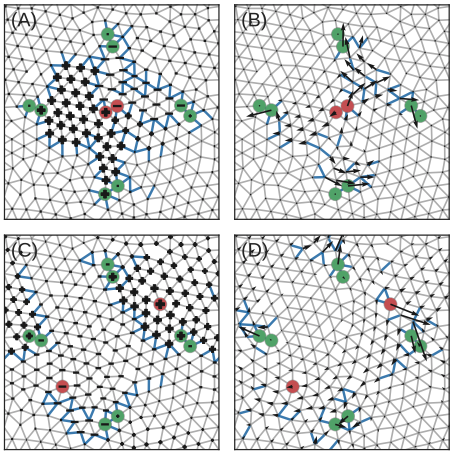 We find that a system of veins arranged in a grid is able to modestly increase the overall network resilience, outperforming a parallel vein pattern. 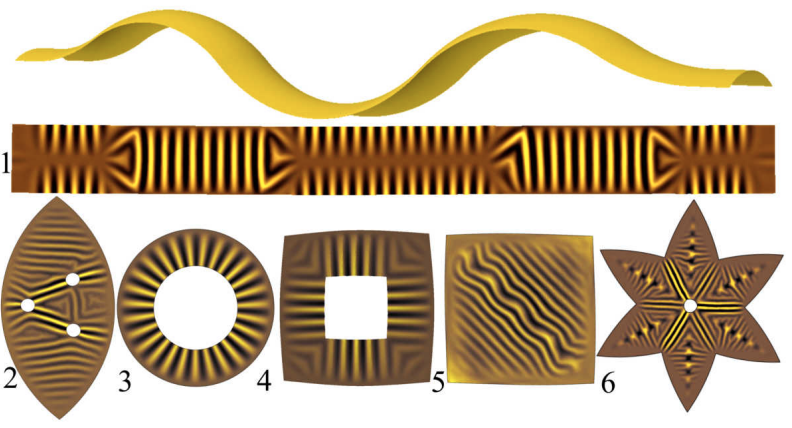 Check out our new paper on pattern formation on curved shells! Shells, when confined, can deform in a broad assortment of shapes and patterns, often quite dissimilar to what is produced by their flat counterparts (plates). In this work we discuss the morphological landscape of shells deposited on a fluid substrate. Floating shells spontaneously buckle to accommodate the natural excess of projected area and, depending on their intrinsic properties, structured wrinkling configurations emerge. 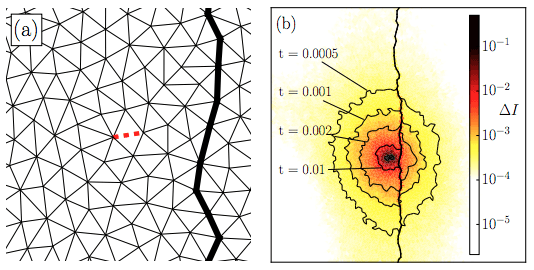 We examine the mechanics of these instabilities and provide a theoretical framework to link the geometry of the shell with a space-dependent confinement. 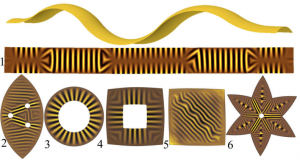 Finally, we discuss the potential of harnessing geometry and intrinsic curvature as new tools for controlled fabrication of patterns on thin surfaces. Job well done by our highschool summer interns!